King Buffet is a traditional Chinese restaurant with an authentic atmosphere: deep reds, glowing lanterns and intricate floral patterns. You’ll be greeted by our extremely welcoming staff as a delicious aroma hits you like a wave. Just wait till you see the more than 200 tasty foods you have to choose from. The experience doesn’t stop there. King Buffet has a large variety of foods including an abundance of seafood, sushi, Mongolian grill and –an American favorite—classic beef steak. The seafood selection alone includes salt and pepper shrimp, crawfish, fried squid, crab and much more. After your delicious meal, you can take your pick from all sorts of ice creams, cakes and other desserts—there’s a chocolate fountain to top it all off! This fusion buffet also has something for your little eaters, including pizza and wings. King Buffet is a place for everyone—even the pickiest eaters. The owners at King Buffet have been in the restaurant business for more than 20 years and are especially keen on creating an exceptional dining experience. With only the highest expectations for themselves, the team has created an incredible variety of dishes combined with friendly services. In three short years, King Buffet’s Taylorsville location has become one of the best and most popular buffets in the Salt Lake area. They are excited to share this amazing experience with other communities. 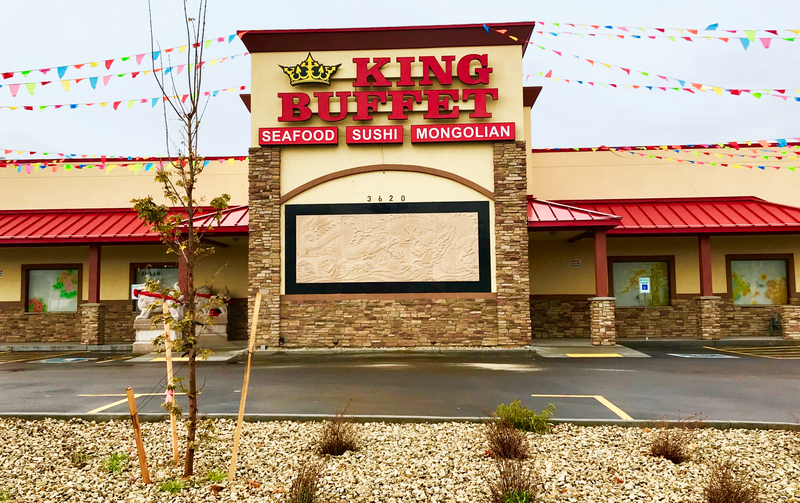 King Buffet now has a new location in Orem, and is soon opening a third location in South Salt Lake. All three locations will offer the same excellence and value—they’d love to welcome you in to have a taste! Come join King Buffet for a Chinese fusion experience in Orem and Taylorsville. As you enter the doors through a traditional Chinese archway, greeted by friendly staff, you’ll know you’re in for a great meal. Expect to return again and again. © 2019 King Buffet Utah. All Rights Reserved, King Buffet Inc.